Greg based in Adelaide, South Australia, has a comprehensive range of AMSOIL synthetic products including lubricants and greases for the automotive, marine, motorcycle and agricultural machine industries. AMSOIL synthetic motor oil does not break down, shear or loose viscosity under heat and stress. Petroleum motor oil breaks down under heat and stress and leaves carbon, varnish and sludge deposits in your engine and allows your critical engine components to wear much more rapidly. It’s no wonder you have to change it every 10,000kms and your local quick lube or dealership service center can’t wait to see you again to charge you for more of your hard earned money! AMSOIL is specially engineered to last longer in service and perform better than any product on the market. 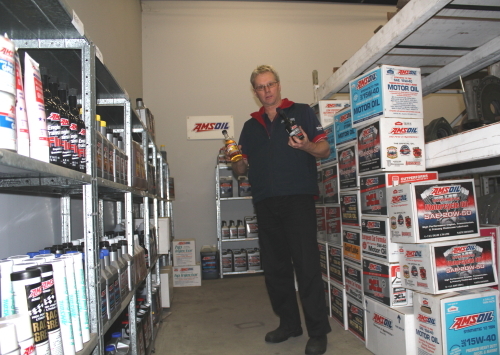 AMSOIL’s published tests and nearly 40 years of satisfied customers prove it. 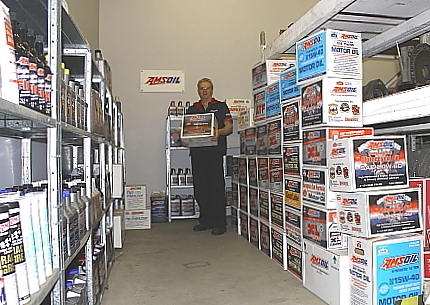 AMSOIL APPLICATION GUIDE – warning, this is an american site and may not include many australian delivered cars. Email me for any advise you need for your Aussie car or machine. Amsoil manufacture two significantly relevant products for your Mazda Rx8. AMSOIL SYNTHETIC ENGINE OIL – Amsoil make a fully synthetic engine oil, far exceeding the quality of any other suitable rotary engine oil on the market today. This product is sold with Amsoil’s factory guarantee that the product is suitable for your Mazda Rotary Rx8. The price is compelling when compared to Mazda’s factory Rx8 oil, not only is it cheaper, but its also better for your engine. Mazda rotary engines, such as the renesis engine used in the Mazda Rx8 2003 onwards accumulate alot of harmful amounts of carbon inside causing excessive wear and the jamming or sticking of seals inside the engine. Driving the cars in a ‘spirited’ fashion will reduce accumulation or carbon, but this is not enough to ensure you achieve the maximum life from you rotary engine. Using Amsoil Powerfoam at every service is an extremely cost effective way to remove or reduce unwanted buildups of carbon. Contact Greg 0438 153 584 to order your Amsoil Powerfoam and receive detailed instructions on how best to remove carbon from your engine.